Fighters with the Islamic State of Iraq and the Levant, a radical militia that controls a large swath of eastern Syria, confiscated and destroyed illegally excavated antiquities from an ancient Mesopotamian site. 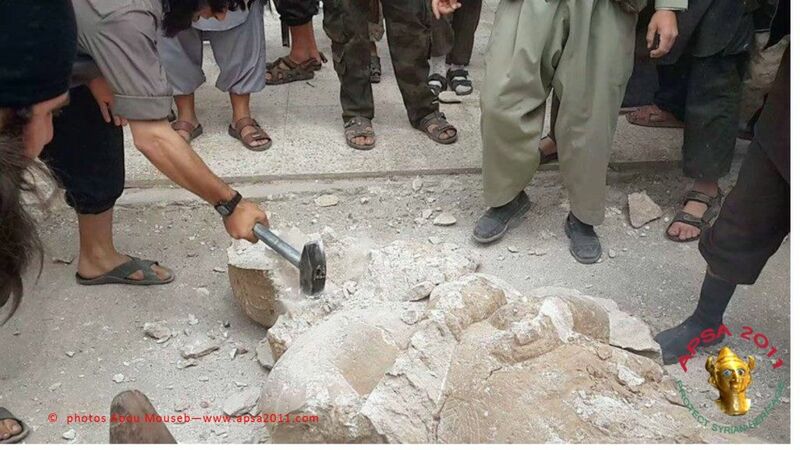 In an act of cultural genocide strikingly similar to the Taliban’s demolition of the Buddhas of Bamiyan in 2001, the ISIL fighters appear – in pictures recently uploaded by a group working to protect Syria’s rich historical heritage — to smash a 3,000-year-old Neo-Assyrian statue illegally removed from a nearby archaeological site. 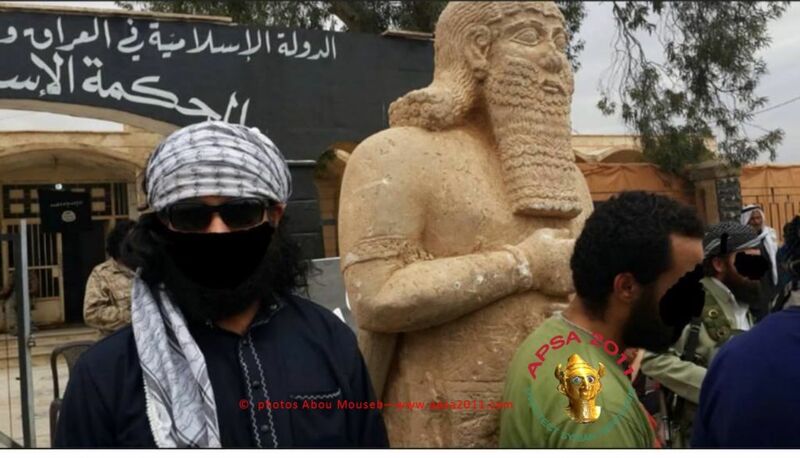 Another image shows a man placing his foot — an act of disrespect in Arab culture — on the face of the Assyrian statue before its destruction. Last month, the Syrian antiquities authority said in a statement that it had received notice that artifacts that “appear to be the result of an unauthorized digging” had been plundered from Tell Ajaja, the ruins of the Assyrian provincial capital Shadikanni on the Khabur River, a tributary of the Euphrates. At least one of the items photographed and published by the Association for the Preservation of Syrian Archaeology appeared among those recently confiscated by ISIL. 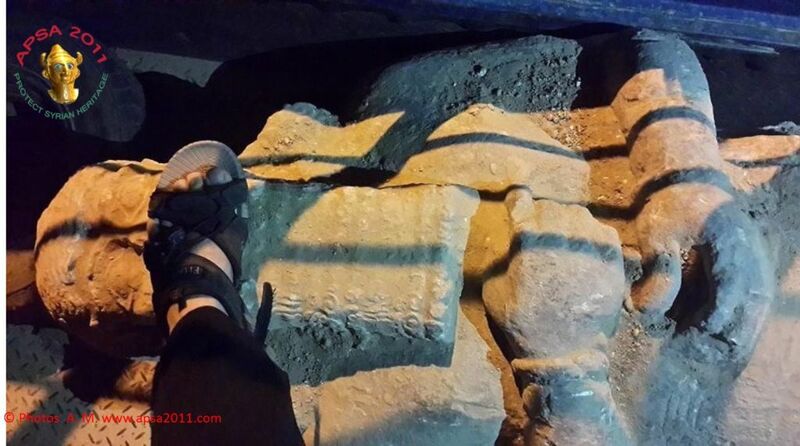 The pictures, taken in Syria’s far eastern Hasakeh Province, were also said to be of artifacts removed from Tell Ajaja. The site lies approximately 30 kilometers (18 miles) south of the modern provincial capital of Hasakeh and 50 kilometers (30 miles) from the Iraqi border. It was not immediately clear from the photographs whether the statue that was smashed was genuine. A Tel Aviv Assyriologist who preferred anonymity said that, based on the photos, the statue appeared to be authentic, “although it could be a copy placed outside the museum [in Hasakeh],” he added with due caution. Needless to say, one hopes that this was a replica, rather than the real thing, but even if it wasn't genuine, the unabashed glee demonstrated the act of smashing a statue says everything about the barbarism, hatred of culture, and sheer delight in ignorance that characterises such acts. Edited by Ken Gilmore, 30 May 2014 - 12:51 AM.